With an extensive worldwide customer base and patented technology, Euresys' expertise includes analog and digital video acquisition, image compression, camera control, image analysis, processing and transport. - A wide range of high-performance frame grabbers for CoaXPress, Camera Link, and nonstandard analog image acquisition. These boards support image acquisition from the fastest and highest resolution cameras available in the market. - SD (standard definition) and HD (high definition) video capture cards used in healthcare, traffic control and high-end PC-based video surveillance applications. - Image processing and analysis software tools for defect detection, subpixel measurement, alignment, color analysis, optical character recognition/verification, and1D/2D code reading/verification applications. - Innovative low-latency standalone IP video encoders for video streaming applications from multiple HD-SDI cameras. 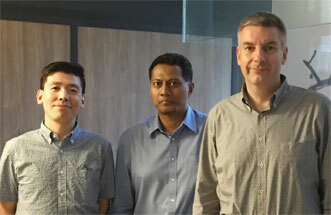 Headquartered in Belgium, Euresys has sales and support offices in the US (California) and Singapore, China (Shanghai) and Japan (Tokyo) as well as an extensive network of distributors throughout the world. 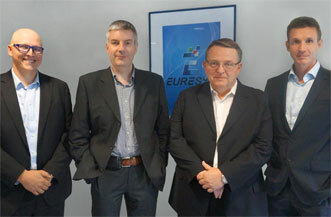 Euresys is renowned for providing high-quality solutions and premium support to OEMs and system integrators worldwide.